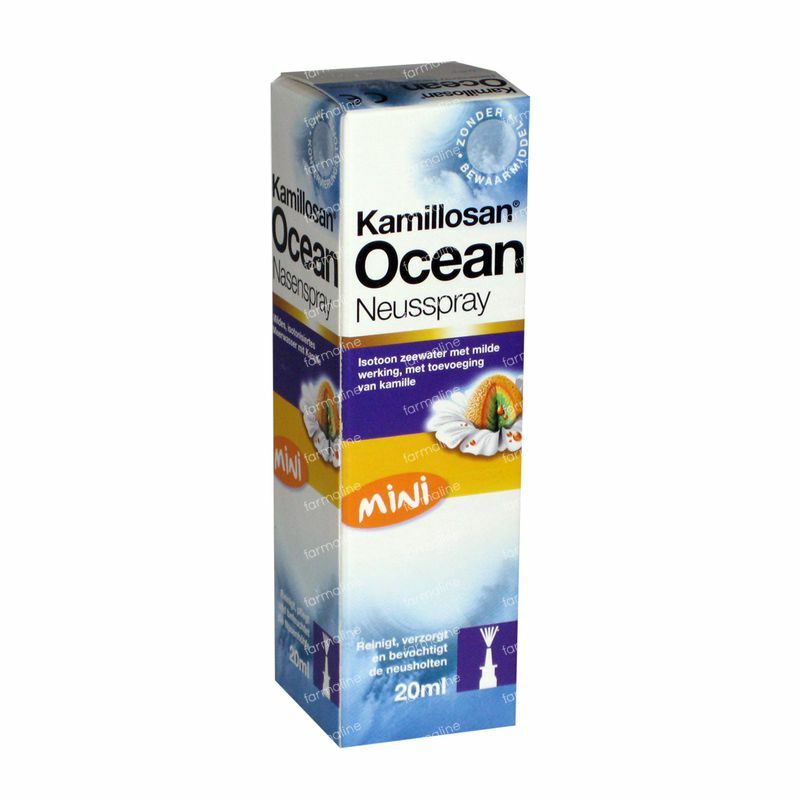 Kamillosan Ocean 20 ml order online. 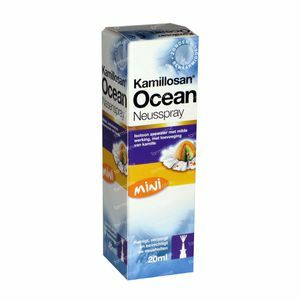 Kamillosan® Ocean nasal spray contains isotonic seawater with natural sea salts, purified water and liquid chamomile extract. Soothes and moisturizes dry, irritated nasal passages so you can breathe more freely. - to relieve nasal congestion due to a cold, hay fever or other upper respiratory allergies. - to moisturize dry nasal passages due to dry air in heated spaces.